Bulgarian Navy Frigate Drazki Joins NATO Operation "Sea Guardian"
BURGAS, Bulgaria (BulgarianMilitary.com) – On 16 November, the Wielingen-class frigate Drazki, part of the Bulgarian Navy division of patrol ships for the NATO-led Mediterranean „Sea Guardian – 2018”, has sailed from its home port based in the town of Burgas, in order to take part in the operation, learned BulgarianMilitary.com. The frigate, which is set to participate in the NATO operation as part of the NATO’s Standing Maritime Group 2 (SNMG2) employed in the Mediterranean Sea, has been sent to its mission with an official send-off ceremony, held last Friday. During it, the commander of a fleet of battle and auxiliary ships, fleet admiral Malen Chubenkov wished the crew successful implementation of the assigned tasks and safe sailing. The sailing of the Bulgarian vessel includes several stages. During the first one, the ship will transit to the Suda port and will be engaged in the Passage Exercise (PASSEX), together with a vessel of the Hellenic Navy. Then the Drazki frigate will join the formation of the NATO tactical group. Along with the SNMG2, the Bulgarian vessel will participate in the NATO’ maritime security operation „Sea Guardian”, which aim is to maintain maritime situational awareness, deter and counter terrorism and enhance capacity building. In addition to „Sea Guardian”, Drazki will become part and of the Israeli Navy’s exercises „Crystal Sea”. In the port of Haifa, the participation in the NATO operation and in the training of the Israeli Navy will be analyzed. Upon leaving Haifa port, the Bulgarian warship will take part in a PASSEX-type training, along with ships from the Navy of Israel. 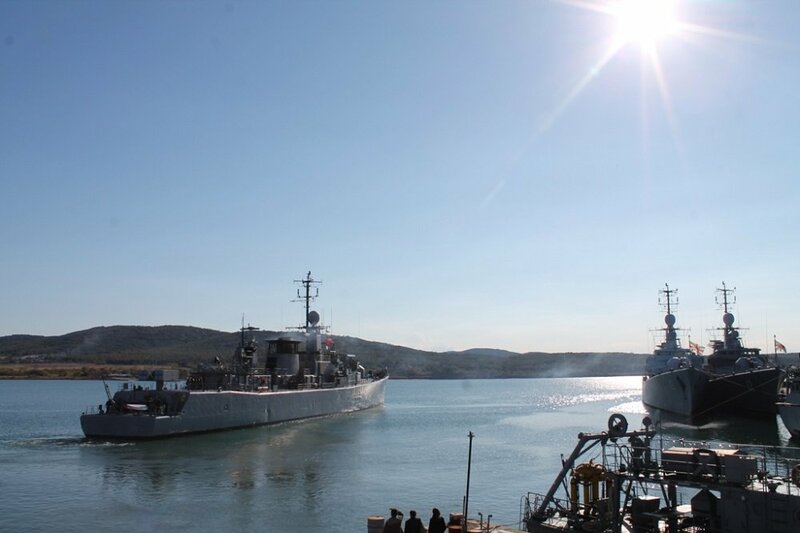 Earlier this year, the mine hunter “Tsibar” of the Bulgarian Navy, has sailed to a 39-day overseas mission as part of the fleet of the Standing NATO Mine Countermeasures Group 2 (SNMCMG2). It has been involved in the mine warfare exercise “Nusret 2018” led by the Turkish Navy in the Aegean Sea, as well as in the Bulgarian-Romanian “Poseidon 2018”.